[By Nick] And it's time to look at a flavor from one of the first companies that I met at the Summer Fancy Food Show to send me free samples. Nancy's Fancy sent me a selection of all 6 of their current flavors. Let's start with the one that caught my eye first. A few things about this flavor grabbed my attention. 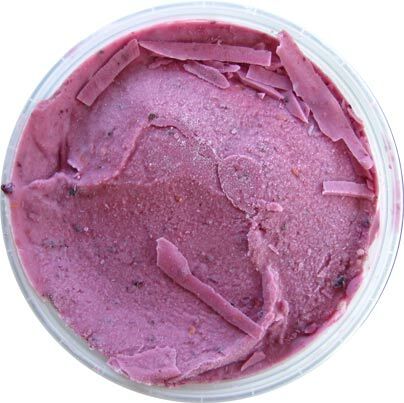 First, the clear packaging revealing a beautiful violet color to the dessert [*under the frost anyway]. Secondly, the mention of "with Greek yogurt" instead of saying "Greek frozen yogurt". That's definitely something different to me. I can't think of any product using greek yogurt that isn't infact a greek froyo‎. Lastly, it's a hot summer day and berries sound really refreshing right about now. 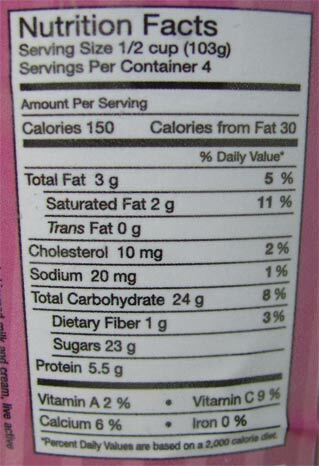 The ingredient list is interesting to say the least. There is enough berries to call it mixed and Greek yogurt is the first ingredient. What really intrigues me is the gelato syrup. 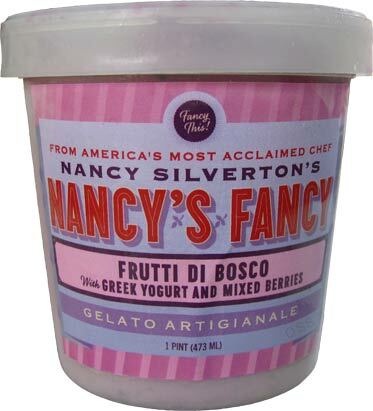 ‎What is gelato syrup anyway? I'm too lazy to look it up but I'm not so sure it's anything different from a simple syrup. Removing the lid, things look weird as well. There's no mention if this brand is hand packed but it appears to be. With Greek yogurt being the first ingredient, I'm going to guess that's why parts of this dessert look an icy sheet type thing. Yes, great description Nick! Scooping this stuff, it's not like any gelato I've had, or even a Greek froyo. It's like a creamier, slightly smoother sorbet. I know it's not sorbet but I have no real idea what to call it. The mouth feel is the same. It's creamy and melts nicely but it lacks real substance and richness to the mix. The flavor is simple. 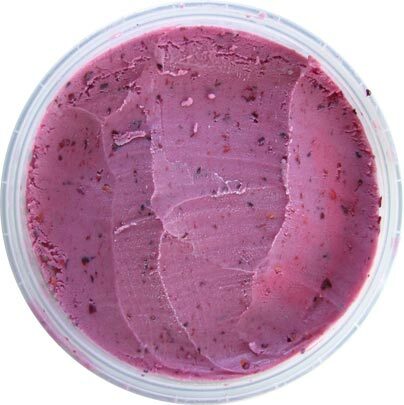 If you've ever had a cup of mixed berry Greek yogurt, this is it in frozen form. I wouldn't doubt if you put a cup of that yogurt in the freezer for a bit, you wouldn't get something similar in texture and taste. Don't get me wrong, this isn't a bad flavor by any means. It's just really plain and the lack of any sort of richness makes me feel like I'm eating some form of diet frozen dessert. Not sure what they could do to make this more exciting but as is, it's just a run of the mill flavor. I'm curious to see how the other flavors pan out now seeing as none of them include Greek yogurt. Only time will tell.